June was a great month within Truth in Nature! The month is truly highlighted by two of our young men making decisions for Christ. Malachi from our Dallas, GA Chapter made a profession of faith in baptism at West Ridge Church Rush Camp where he attended with some other boys from this chapter! Caleb from our Bush, LA Chapter made a decision and asked Jesus into his life at Clayton King Ministries Summer Camp where he attended along with some other TIN boys from that chapter. We praise the Lord for these young men’s decision and are honored to walk alongside them and disciple them as they grow in their walk. For the first time in our short 10 year history Truth in Nature ran programs in 5 different states over the month of June. It was a great month as we started programs in 2 new states of Michigan and North Carolina. We continue to see God bless us with men who want to serve and begin chapters in their local communities! First off in Apex, NC the month of June was a busy one. It began with a Open House and ended with a Ropes Course Challenge. Program Director Cory Bowes led the efforts in the community with a strong team of mentors. 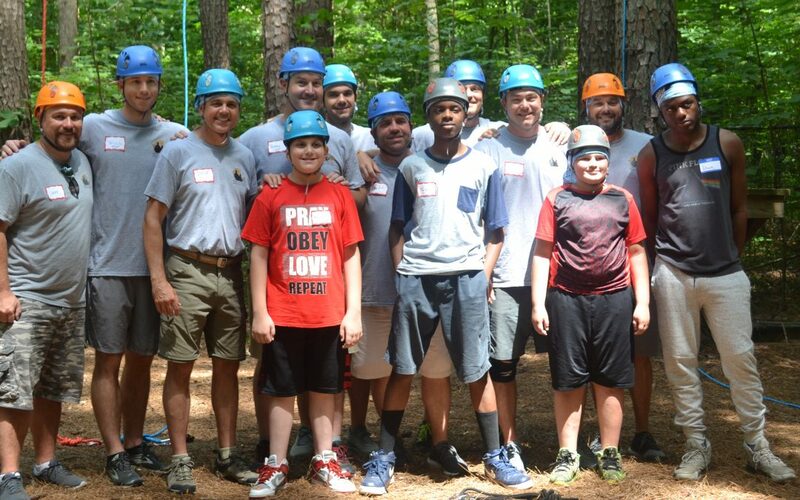 He had 4 young men for the first ever program in Apex where they took to the Ropes Course for some team & trust building between boys and mentors. They ended the day with some lunch and a short testimony and devotional from Cory Bowes. 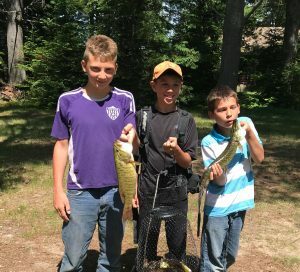 Up at our Chapter in Newberry, MI Program Director Jim Duflo led a summer fishing program. This officially started programs between boys and mentors there in this community. Jim had a great group of mentors and boys team up with North Store Follow Me Outfitters for a great day on the lake catching fish. Guide Larry Johnson had the boys on the fish and the weather was beautiful. They ended the day with a meal and a devotional from Jim Duflo. This was some great day programs to establish our base and core groups here in these new communities. Our Chapters in Dallas, GA, Bush, LA, and Columbia, SC also had a great month of overnight programs. In Dallas, GA Program Director Don Brooks led the Annual Summer Leader Trip and the Primitive Skills programs. 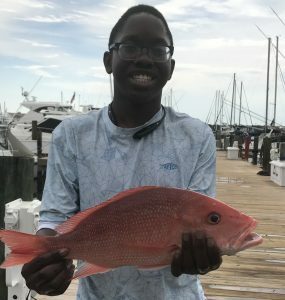 The summer leader trip took boys Jacob, Mohatu, Jackson, and Chandler to the Florida coast for some deep sea fishing as they earned their way on to this trip for their accomplishments in the classroom, home, and our programs. It was a great time building on the established relationships with these young men in a smaller group setting. The Primitive Skills program was led by our own Cowboy Tom Veale. Cowboy Tom led and showed the young men how to set and run traps. Each program we were able to share more about our walk with the Lord and how to grow spiritually. In Bush, LA Program Director Ronnie Alpha led a summer fishing program. 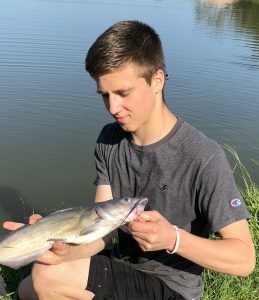 With a great group of boys and mentors they caught many catfish! It was hot and humid but they had a great time as Mentor Micheal Thomas was able to share a devotional before wrapping up. They welcome two new young men to the program as well and are looking forward to them being a part of the TIN family. 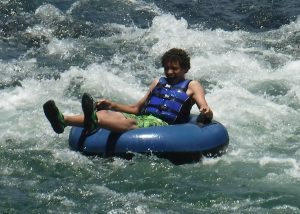 Program Director Rick Hall took to the river as boys and mentors beat the heat of summer in Columbia, SC. The annual River Tubing Float was another great program. The boys and mentors floated the river and were able to spend time continuing to build bonds and relationships while growing in their walk with the Lord. 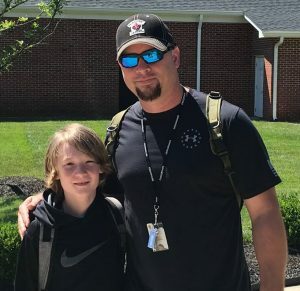 We continue to see God do amazing things in these programs and as we grow to Reach, Inspire, Support, and Engage more young men from fatherless and single parent homes in the new and current communities. We have another new chapter starting programs in July with Program Director Jeff Benefield and our LaGrange Chapter team and we also have some exciting announcements coming out this month so be sure and stay tuned to our Facebook, Twitter, and Instagram avenues to keep up with everything Truth in Nature. In addition please continue to lift up these programs and the young men we serve for them to understand who they are in Christ and grow in their walk with Him. Tight Lines, Steady Aim, Cleansed Heart.